MUMBAI (Reuters) - Police in India have arrested more than two dozen men who were part of a mob that lynched a 32-year-old man after rumors spread over WhatsApp that he was a child-kidnapper, police said on Sunday. 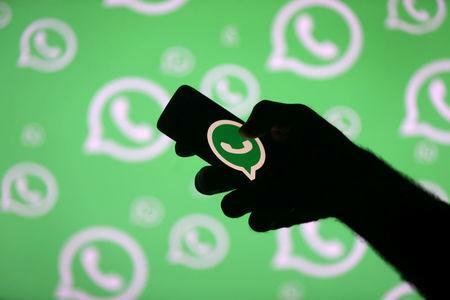 The killing of Mohammed Azam, who police said was a call center employee, in the southern state of Karnataka on Friday, was the latest in a series of assaults in India triggered by false messages about child abductors spread through Facebook Inc-owned WhatsApp. At least three people have been killed and more than a dozen assaulted over such rumors this year, according to media reports. Dileep Sagar, a police inspector in Karnataka, said a mob of at least 50 people attacked Azam and a relative after they were spotted offering chocolates to children in a remote village. India is WhatsApp's biggest market, with more than 200 million users. The Information Technology ministry wrote to WhatsApp this month asking it to take measures to curb the spread of such fake messages. WhatsApp put out advertisements in newspapers last week announcing an "education campaign" on how to spot fake news, adding it would also start labeling forwarded messages. A spokeswoman for the company contacted on Sunday declined to make an immediate comment. The inspector, Sagar, said at least 10 police officers, including him, were inured as they tried to control the attackers. Azam's relative was injured. Police have also arrested the administrator of a WhatsApp group on which the false messages were spread.